Our Pre-Purchase Inspections provide all the information necessary to assist Buyers in making a Well-Educated Decision Before Purchase! Our Report Findings, Large Format Photos and Test Drive Results leave the guess work out of the equation. Each Inspection is customized, using the most experienced man for each Job. Turn-around is 2-3 days normally. We can provide Appraisals as well. 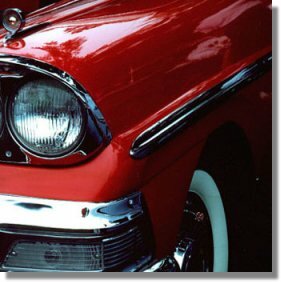 Be Sure to Read "The Advantages of a Classic Car Guy Inspection" and the "Frequently Asked Questions" Below for More Detailed Information on Our Inspections. A List of Items we inspect is also Below. 2. Enter Amount of $375 (or $350 if a repeat Customer). The fee for our pre-purchase inspections is $375.00 (some inspections, less comprehensive in scope, can be arranged for a lesser price). Our Inspections Include 12 Pages of Information, a thorough examination for rust, a test drive and many photographs. Type-written appraisals (usually requested so that proper insurance coverage may be acquired) vary in price. Please call. Buying a car from out of state can be a scary thing. But, our inspections will put you at ease. A pre-purchase inspection doesn't cost you money, it saves you money! Our detailed 10-12 page reports can uncover all types of hidden problems before they become your problems. Our reports are the most detailed in the business. Each component of the automobile is graded on a 1-5 scale (like OCPG) and comments are given. We look for rust issues by running a magnet over rocker panels, wheel well openings, and by inspecting the floor pans and trunk bottoms for integrity. Each body panel is graded separately for paint, body and fit assuring that inspectors take the time to look at everything. We will address most anything that you have a concern about. You don't have to get on an airplane and pay for meals and a hotel. We have good coverage of the USA and Canada. Chances are good that we have a qualified local inspector in the neighborhood who can test drive and inspect the car of your interest. You will have an objective, professional third party opinion. Often, a buyer will trust the seller's description of the car. For one reason or another, a seller may not quite represent the car accurately. Unfortunately, this takes place with great frequency. For your own piece of mind, we suggest that you get an inspection before you buy, even if it isn't from us. Otherwise, your investment could easily become a liability. You will get ALL the information accurately. Our detailed 12 page reports, can uncover all types of hidden problems before they become your problems. Each of our reports includes photos and a test drive. You will have the information you need to make an informed decision on a purchase. If questions remain you can always speak with the inspector about the report. You get the advantage of hiring an expert. Our inspectors are pre-qualified for each specific job. For-instance, we will not ask a Mercedes expert to inspect a Mustang or vice versa. Our inspectors are licensed appraisers, automobile restorers, judges of automobiles in car shows, body shop owners, expert certified mechanics, museum curators, etc. You get photographs with every report. Often the pictures you get from a seller show only the good spots. Our inspectors are good at documenting all of the trouble areas. Pictures can usually be emailed to you. You get a Test Drive. Our inspectors will test drive each car themselves or sit with the owner and take notes. You will receive information that describes the performance of the automobile with each CCG report. 1) You may place an order for a pre-purchase inspection or appraisal with us by using the methods described above. Try our toll-free telephone number at 1-888-206-0039 24 hrs a day 7 days a week, or fax us the necessary info at 925-396-6040. 2) One of our inspectors, nearest to the car of interest, will be given the assignment. The inspector will immediately contact the owner of the automobile by telephone so that an appointment can be made. 3) At the convenience of the seller, the inspector travels to the owner's car, or they meet at an alternate location. The inspector will use our Field Checklist, which is 12 pages in length, when inspecting the automobile. He will spend at least one hour (often closer to two) grading each component of the automobile on a 1 to 5 scale. Comments are given where needed on the checklist. Automobiles are inspected for paint quality, rust (floor pans, trunk bottom, rocker panels, etc), chrome quality, body/frame damage and repair, etc. See the list below of typical items inspected. Our inspectors are instructed to place magnets on body panels and rust-prone or suspect areas. The interiors, trunks, engine compartments of every automobile are also inspected. (Any specific areas that you have concerns about can most likely be addressed). The car will be test driven if at all possible. Comments are made on the checklist regarding the test drive. Many photographs are taken. 4) Often within the same day, the inspector faxes the report to our office where it is reviewed. We send the 12 page inspection report to you (by email ordinarily) within 12-24 hours of the time of inspection. If it is a written appraisal, turn-around time is about 5 days. If you would like to join our group of automobile inspectors and appraisers please send us an email and tell us where you are located and briefly state your credentials! We would like to know more about you! We will get back to you. It is fun making money doing something you love!